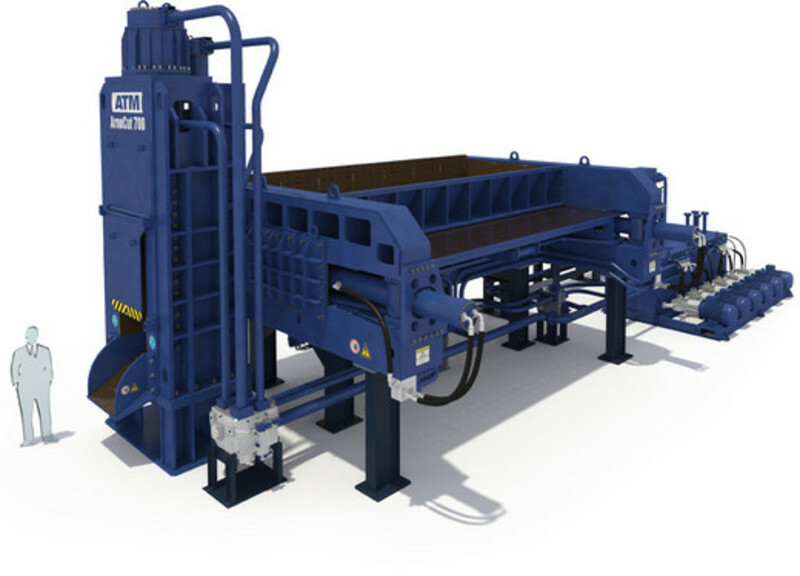 The ArnoCut Series Scrap Shear serves cutting heavy or cupola scrap or reducing the size of vehicle body parts. Depending on shear size, steel constructions, tanks or car bodies can be cut. Rails are notched and broken. It guarantees the highest quality and a long useful life. 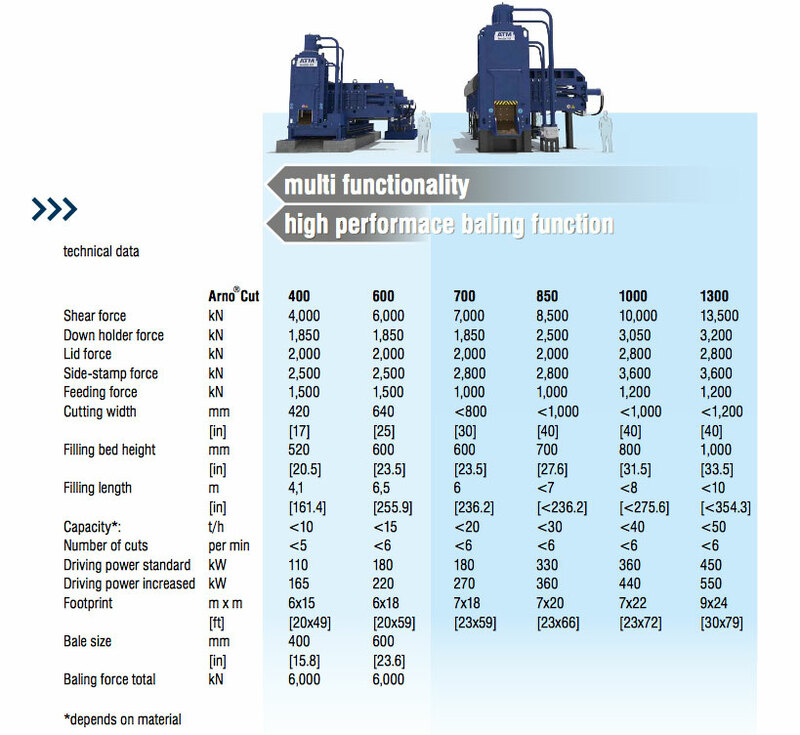 The ArnoCut Series Scrap Shear is produced in five sizes from 4,000 to 12,500 kN shear force. All compacting chamber wear plates are made of Hardox 450 up to Hardox 600 and guarantee the highest quality and a long useful life. Cutting cycles are optimised by path measurement systems in the cylinders. The need to use an elaborate foundation is avoided thanks to the monobloc construction. A centralized lubrication system, various clogging indicators and fault analysis guarantee simple maintenance. Comfortable operation with two joysticks and a multifunctional display in a soundproofed, airconditioned cab, make the scrap shear a workplace with the highest level of productivity. Depending on the purpose of the shear we offer straight wear plates as well as wear plates with special square or trapezoid-shaped profiles in various material qualities. A helm seat with 2 joysticks, monitor visualisation and video surveillance situated in an air-conditioned cabin set new standards in workplace design. Two separately controllable side cylinders make it possible to traverse the lateral compressor up to 15° in order to pre-compress bulky constructions and materials. The bicameral system guarantees the supply of filtered and cooled oil to the performancecontrolled hydraulic pumps. The pump activation technology regulates the required quantity of oil per cylinder, thereby minimising the neces-sary drive energy of the press.